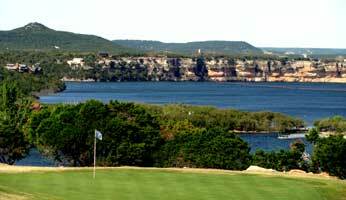 The Cliffs Golf Course (which we rated as one of the Best Resort Courses as well as one of the Best Courses in Texas) is one of the major reasons we keep returning to the Cliffs Resort & Spa on Possum Kingdom Lake. 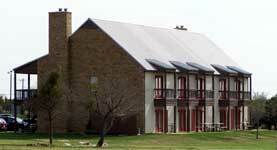 The golf course offers a unique, picturesque, very challenging, and fun golfing experience. 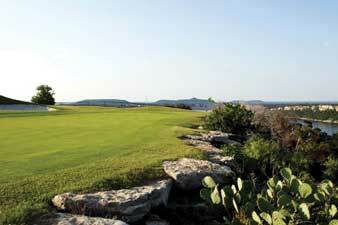 Rated 4 1/2 stars by Golf Digest, The Cliffs is also a Texas Outside Favorite and rated 9.3 stars out of 10. 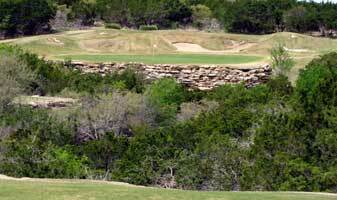 The course has a well deserving reputation as being one of, if not the, toughest courses in Texas. 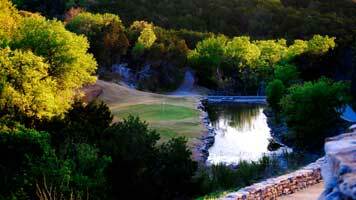 But don't let that stop you from scheduling a tee time on this "must play" Texas golf course. The Cliffs Course is also home to some fantastic par threes, for example, #9 runs along the edge of a 200 foot cliff above Possum King Lake offering unparalleled views of this clear blue water, some huge homes, and the rolling terrain and #15 sits 40 to 100 feet above a small green in a deep ravine with a pond protecting the right side. Playing these two holes along is worth the green fees. Bring some old balls to drive off the cliff and into the lake and on #15 I know you'll want to take at least a couple attempts at trying to hit the green. 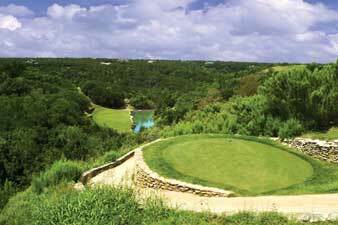 Not only is this course one of the most scenic in Texas but it's also one of the hardest with a slope ranging from 124 to 143. You need your A game to score well as you try to hit the narrow fairways lined by berms, bunkers, ravines, or trees; go for the risk reward shots on a couple different holes; try to select the right clubs to manage the wind, elevated tee boxes, or to carry the ravines; and you need to be accurate to stuff and your approach shots to relatively small well protected greens. We found that the secret when we play The Cliffs is to forget about trying to score well, mover up a set of tee boxes, take a few mulligans or extra shots, relax, and enjoy the scenery and the spectacular golf holes. So load up with a few sleeves of balls ($1 balls are a good investment here or you can usually count on finding about as many balls as you loose), hit the range and practice hitting them straight, take a few putts to get a feel for the greens, and then be prepared for a fun and memorable round of golf. I'll guarantee you'll will want to play this course twice and keep coming back at least once a year for the experience. 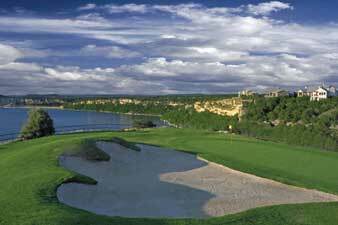 Read our review of The Cliffs Golf Course to learn more about why we love this course. The Elite Rooms at the Inn also include a mini fridge, a separate garden tub and walk-in shower, and some have a gas fireplace. Treat yourself and stay in an Elite lake-view room - it just doesn't get much better then donning the supplied robe, grabbing a cup of coffee, plopping yourself down on the oversized private balcony, and watching the beautiful sunrise over Possum Kingdom Lake. And the sunset with a cold drink is equally spectacular! 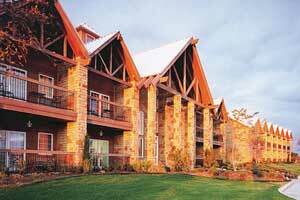 During one weekend visit, we stayed in one of the Condos and it was perfect for our family and grand kids. The Condos offer everything you need for a fun weekend - two bedrooms and two bathrooms; large living area with a fireplace, TV, and a comfy sofa and chairs; dinning area; washer and dryer if you need them; and a well stocked kitchen with a full refrigerator. The condos sit on a bluff over looking the marina and are close to the picnic tables at the lake beach and swimming area. Late one afternoon, we took the grand kids on a hike down the hill to the 15th hole and then we followed an old cart path to the top of the 15th hole which is a 162 yard downhill shot to a small green with a pond and rock wall. We took a couple shots from the tee boxes and low and behold, one actually stuck on the green - why couldn't I do that when I was playing that hole for a margarita! On the walk down and back up the condo, we found 15 golf balls, but none of the ones I lost on this outstanding hole! For the Athletic - enjoy a few sets of competitive tennis on two lighted courts, work out in the fitness center, take a few laps in the lake or pool, go water skiing or wakeboarding, hiking, jogging, or on a power walk. A short distance from The Cliffs Resort are several fantastic hiking and biking trails with stunning scenery and trails suitable for all skill levels. 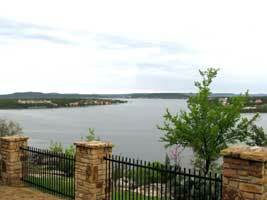 For Boating Enthusiasts - Possum Kingdom Lake is one of the best in Texas - clear water, beautiful scenery with towering cliffs and beautiful homes, sandy beaches, restaurants, and a great party cove. If you don't have a boat, The Ships Store at The Cliff's marina rents pontoon boats, Sea Doos, and Hurricane deckboats for skiing, knee boarding, or tubing. If you have your own water toys, the Cliff Marina has a wide ramp, ample parking, a ships store with all the basics (gas, ice, bait, staples, and more), and overnight guest slips so you don't have to pull your boat out of the lake each day. Read our review of Possum Kingdom Lake and check out this Possum Kingdom Lake Map to find one of the best party coves in Texas at Hells Gate. For the Hunters or Fisherman - during the season, there are several places to go hunting and Possum Kingdom Lake is excellent for white bass and good for largemouth and hybrid bass and catfish. One of these Possum Kingdom fishing guides would be happy to help you land a big one or enough fish for a fish fry. For The Hungry - don't fret, after a fun day golfing, boating, swimming, and playing tennis, you've built up a real appetite and you are not going to go the bed hungry. In fact, eating at the Cliffs may be one of your best dining experiences in a long time. The Chaparral Grille serves three hearty meals a day and everything that we sampled was excellent and not at your typical outrageous resort prices. 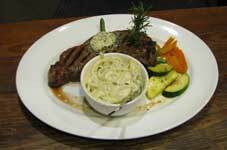 The service was great and the staff is very friendly. During the warmer weather, the outside deck at the Chaparral Grille is the place to dine, enjoyer the spectacular view of the lake, and listen to good music. 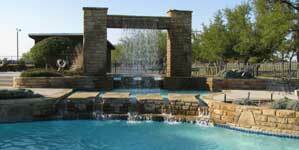 The Cliffs Resort is one of the best in Texas for a romantic weekend escape, a golf outing, or a weekend getaway from the hustle and bustle of the city. There aren't many places in Texas where you'll find such an excellent combination of fantastic golf, great accommodations, good food, one of the best lakes in Texas, friendly service, and a spa to work out the kinks and stress. The meeting room is perfect for strategy or planning sessions and The Cliffs can provide all the services you need for a fun and productive corporate event or family reunion. 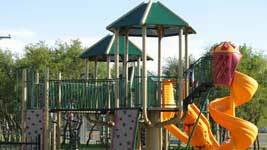 Some fantastic lots and beautiful homes are available for sale. If you're interested, stop by the sales office and sign up for a tour. Or book a tour on their website. 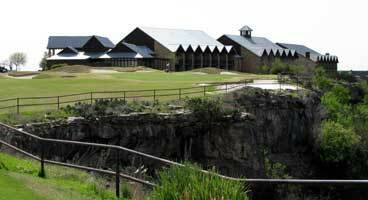 You'll be impressed with all The Cliffs has to offer property and home owners.